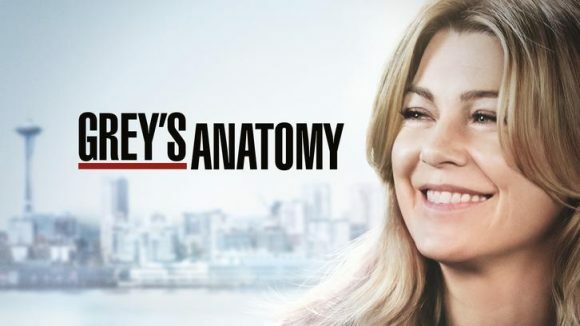 The season two premiere of Grey’s Anatomy lost to TVNZ 1’s Rich House, Poor House and Three’s NCIS in three of the four core commercial demographics on Tuesday. It averaged 2.2% of 25-54 year-olds, 1.9% of 18-49s and 3.6% of household shoppers with kids but won with 18-39s (1.4%). The demo averages were roughly comparable with the most recent episode of TVNZ 2’s previous 8.30 Tuesday drama, Fresh Eggs, which was pulled because of sensitivity about its content post-Christchurch mosque shootings. Rich House, Poor House averaged 4.4% of 25-54s, 2.5% of 18-49s, 1.3% of 18-39s and 4.3% of HHS/k. NCIS averaged 3.7% of 25-54s, 2.8% of 18-49s, 1.0% of 18-39s and 4.7% of HHS/k. A second NCIS episode held up well but lost to TVNZ 1’s 20/20 in all the key demos except HHS/k; TVNZ 2’s Heartbreak Island continued its sub-par run, with averages of only 0.2%- 1.2%. Earlier, Shortland Street won outright at 7.00 and Married at First Sight Australia at 7.30. Three won the night with the biggest shares of 18-49s and HHS/k while TVNZ 1 was tops with 25-54s and 18-39s. On Monday, Three’s MAFS and The Rookie dominated in all the core demos while TVNZ 1’s doomed Manifest rated ‘highest’ with 25-54s and HHS/k: 1.9% of each. But viewership of the second Rookie episode, as well as the competition on TVNZ 1 and 2, largely lost to Prime’s movie Vice or Choice TV’s China Megatomb Revealed. 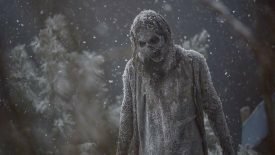 TVNZ 2’s The Walking Dead bowed out with averages of 0.3% – 2.2% (in the US, it posted its “smallest-ever” season finale). Three won the night with the biggest shares of all the key demos. In the battle of the network movie premieres on Sunday, TVNZ 2’s Doctor Strange crushed Three’s Get Out: the former averaged 2.4% – 4.7% of the core demos and the latter, 2.1% – 3.4%. The race was tightest among 25-54s, with the Marvel adventure averaging 3.8% and the horror sensation, 3.4%, while just as competitive was TVNZ 1’s Victoria (3.2%). However, Victoria’s lead-out, the series premiere of Mrs Wilson, averaged only 1.7%. Thanks to the phenomenal popularity of MAFS, Three won the night outright. The network’s dominance so far this week caps eight consecutive weeks of it winning in its target 25-54 demo. After 13 or 14 seasons of Grey’s Anatomy wouldn’t it be fair to say that anyone who is still a Grey’s watcher would have watched the latest series via TVNZ OnDemand? It beggars belief that those fans would wait until the new season airs via broadcast (especially with no known broadcast date) – and should come as no surprise that primetime audiences for the property are near zero. Thanks, Mike. News to me. TVNZ seems increasingly to be releasing this kind of information through social media channels. Is this where you saw it? No. I went to TVNZ OnDemand to see if I had missed an episode and it was listed on the Fresh Eggs synopsis page.